In 1942 Mogens Lassen designed the Stool ML42 as a piece for a furniture exhibition held at the Danish Museum of Decorative Art. 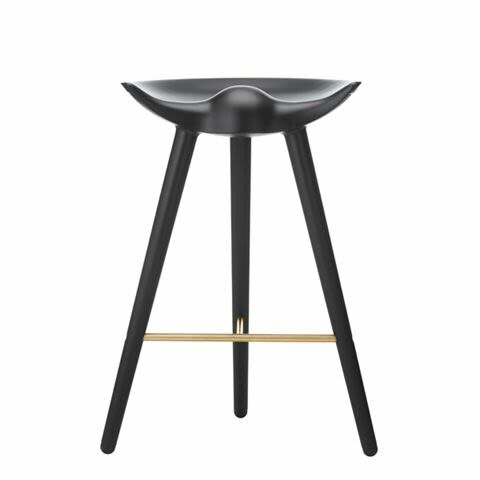 He took inspiration from the stools used by the shoemakers of the past, and transferred the light, elegant look to the creation of this sculptural three-legged stool. The Stool ML42 is still manufactured in Denmark to this day with a focus on quality and Danish craftsmanship, and is considered a collector’s item by international design connoisseurs. by Lassen owns the rights to the designs of two of Denmark’s greatest architects: Mogens Lassen and Flemming Lassen.